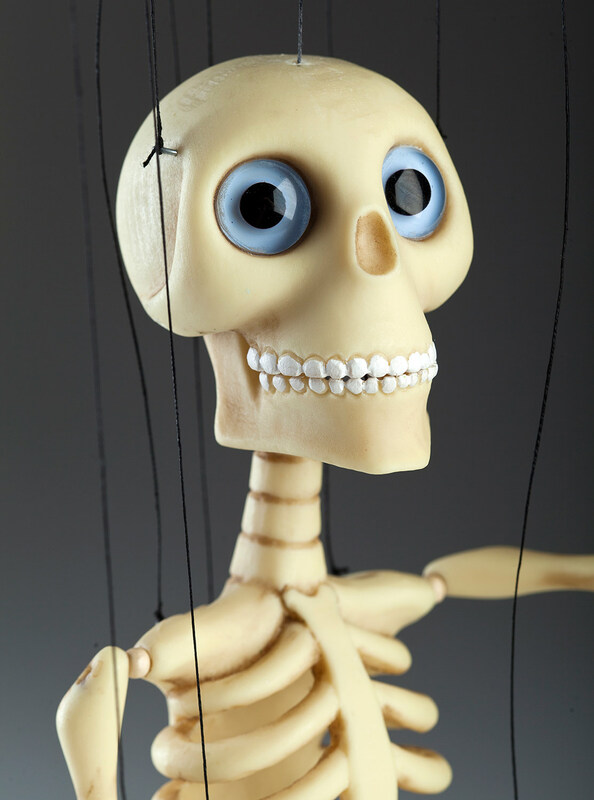 Cute small version of our Bonnie Professional Marionette He’s 24cm tall and It’s a pleasure to play with him. 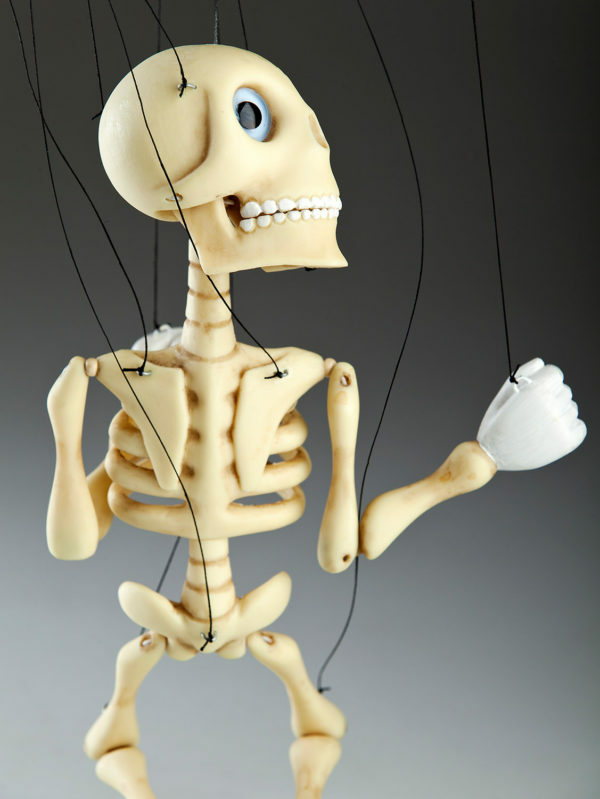 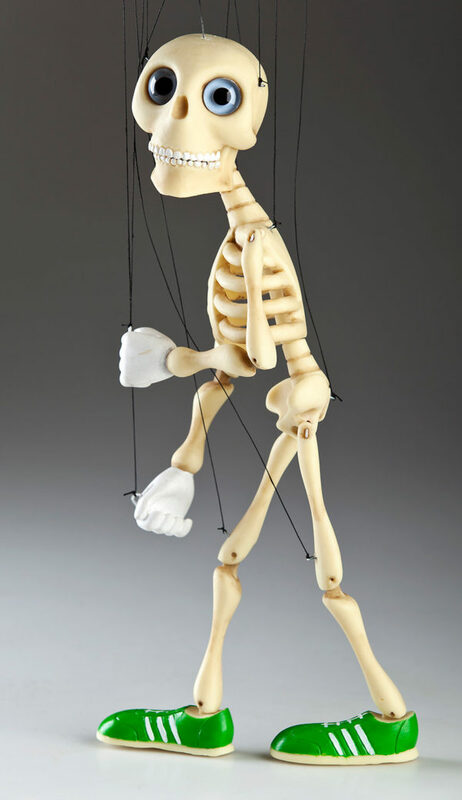 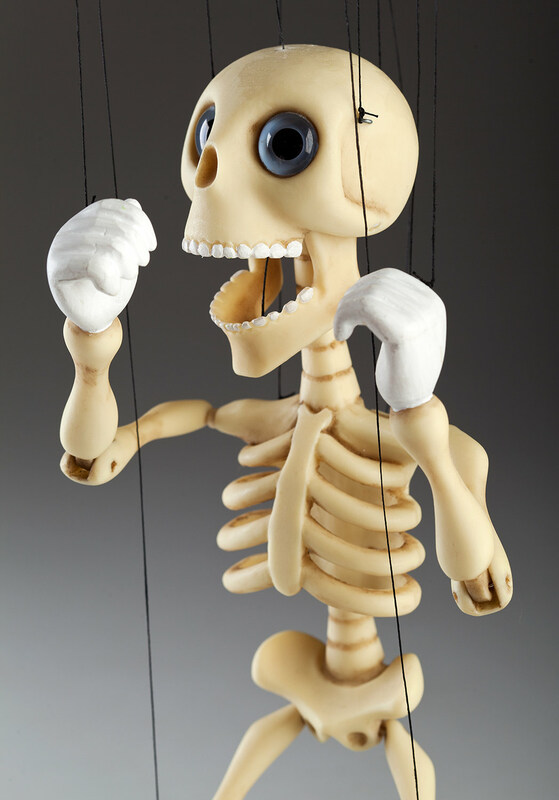 It doesn’t matter if you’re looking for toy, decoration or puppet for performance… Baby Bonnie fits it all!Just like our Bonnie Professional Dancing Skeleton, this new born darling marionette is just breathtaking. 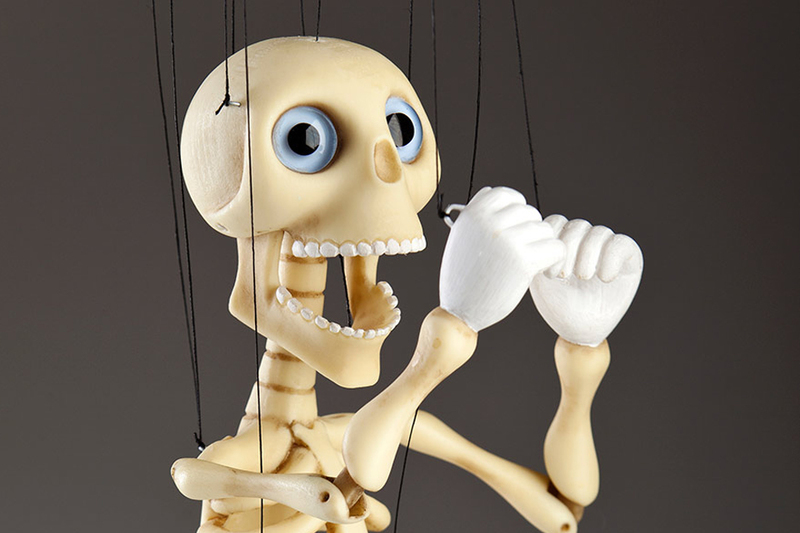 Designed and handmade in Prague, Czech Republic. 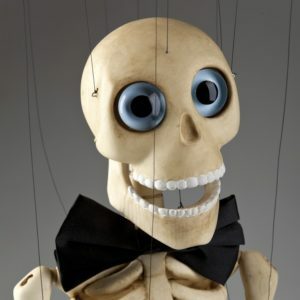 There is no other skeleton more jolly and funnier than this one. He’s suitable for all age groups. 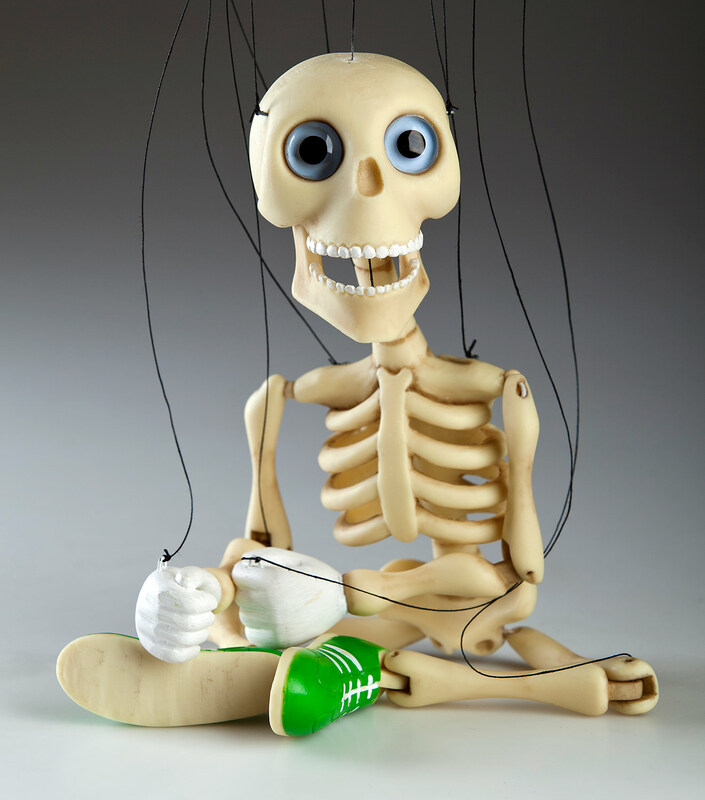 Our creations love to bring joy and happiness in your life, and Bonnie Baby is one of the keepers. 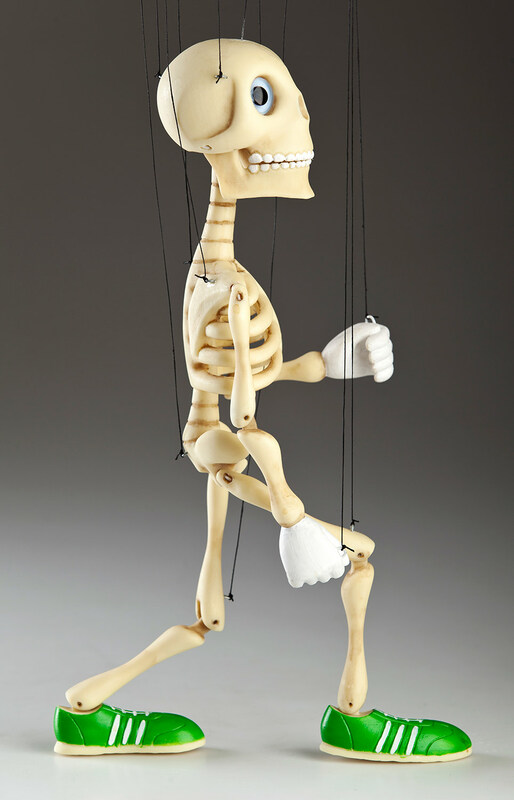 Please, note that each marionette is an original piece of art and it may slightly differ from the pictures above. 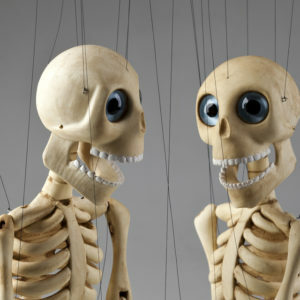 For example the clothes or the hair color may be different, depending on the availability of the materials.